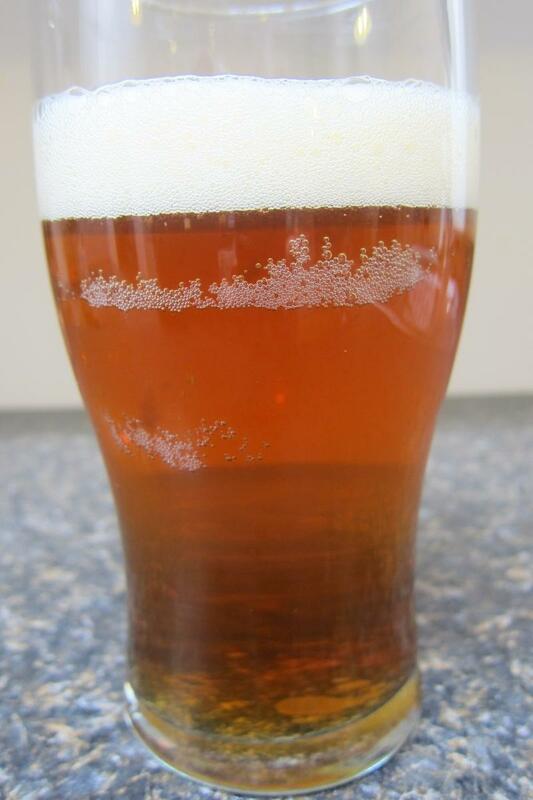 Bubbles stuck on glass in liquid beer indicate the presence of dried on beer or other soil. Normally, I Iike to focus on the beer that’s in the glass. But, just this once, I want to talk about the glass itself. In one of the more prolific beer-drinking and -producing countries in the world, Belgium, the glass in which the beer is served is often unique to that particular beer. Order five different beers and they’ll come in five different, proprietary glasses. Each one designed with a different foot, or a different, yet exact, curve to the lip. And designed, they claim, to enhance the aroma and flavor of the beer. Even in this country, a large East Coast craft brewer has gone so far as to patent a specially shaped glass that is designed to not only enhance the hop aroma but also to deliver the beer to a specific part of your mouth. Frankly, I couldn’t be less impressed. I guess they got the material right. I do prefer glass over, say, pewter or something. But let’s face it, the shape of the glass is rarely going to enhance your sensory perception of a beer. It is, however, going to work as a heck of a marketing tool for the brewery. And to a few beer drinkers, it may actually make a beer more enjoyable in the sense that they can drink from the proprietary, branded glass of their favorite Belgian brewery. Probably swiped from a Belgian bar on their latest backpacking tour. The one thing that is truly going to make a difference in the perception of a beer isn’t the shape of the glass, it’s the condition of that glass.